2) We have a note from Emmeline’s parents, dated April 2008, saying how she had made this decision to ask Jesus into her life. And her life bore out the character and Christ-likeness that He produced in her. She was a blessing to many. 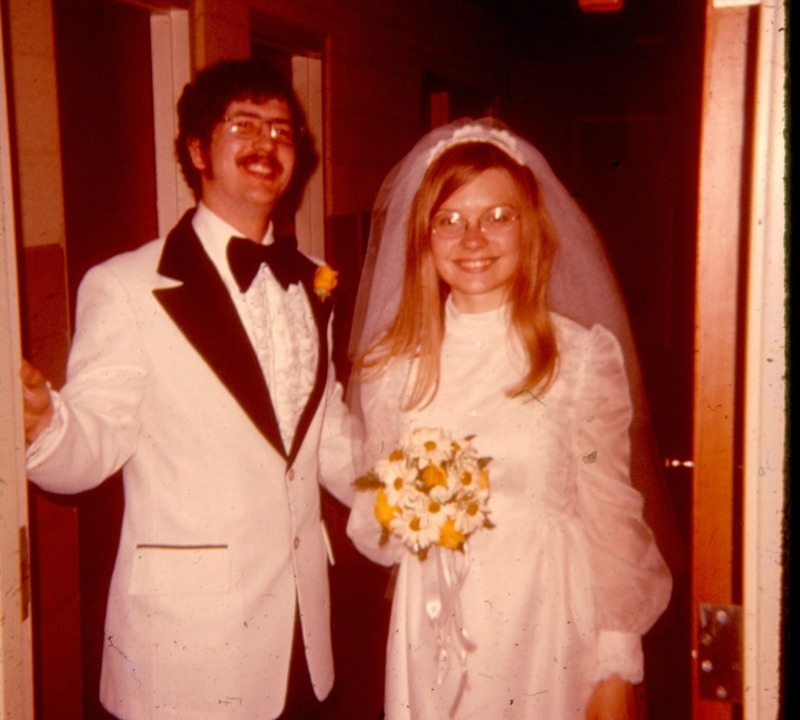 I woke up this morning with joy, thanking God for 39 years of marriage to the most wonderful man in the world–my prince, my soul-mate, my best friend and lover and much, much more. Last night she was coughing a lot. Firstly, she can’t make her self cough hard so she wasn’t able to clear her airways well, and then I felt like what she did cough up she couldn’t effectively clear from her mouth. So today, I called about getting a suction machine. Tonight she got chills all over, then she started throwing up mouthfuls when she coughed. It was 8:00 pm when I was thinking of taking her into the ER just to suction her, chest x-ray if needed, etc. when a man showed up at the door with the suction machine. What a relief. I couldn’t believe they got it here so quickly and even after “business hours”. What a gift from God. Last night a friend called and said she would like to bring a meal to us tonight. She ended up bringing the very thing Emmeline has asked to have for her birthday next week, tortellini soup and homemade rolls. My friend had no idea. So even though the eating was tough for Emmeline, she was very happy and it was a reminder to me of God’s personalized blessings for each of us. In these bittersweet days, God’s love, power, and wisdom are our comfort. He is there for you, too! I’m taking a break from my normal genre to share thoughts related to my eldest granddaughter, Emmeline, who will celebrate her 11th birthday in May. In God’s wisdom, He allowed her to be born with a brain tumor. In God’s providence, he has provided excellent medical care and financial help through all these years. In God’s goodness, he has supported her with an “army” of prayer supporters who have stood behind her faithfully. And now, still in God’s plan, a “growth” of some sort has appeared on her brain stem, triggering alarming symptoms. Emmeline is an incredibly beautiful and sweet girl who loves the Lord, enjoys making greeting cards and treasures her friends. She is big sister to five younger siblings and enjoys the love and care of devoted parents. Most of all, she is loved by God—Who doesn’t make mistakes! As our family heads into a new part of this journey with her, we pray that we can all keep our eyes on the Lord, leaning ever harder on His goodness, grace, provision, strength, and mercy. May He be glorified in Emmeline and her family no matter where this leads. And may those who watch be drawn closer to Him.